Monday, June 20th marks the official first day of Summer in the United States. It means sunny days here in the Sunshine State. The most common cause of water damage in the months of summer is when families leave on vacation. They leave their homes empty for days, weeks, and sometimes even months. If there was any kind of leak, even a small one, it’ll be left unchecked and can cause a substantial amount of damage by the time someone ever notices. This could be devastating. It’s important to take the right precautionary steps to safeguard your home before leaving so that any possibility of water leaks or water damage are minimized or completely eliminated. Here are four actionable steps that you can do to ensure the safety of your home. If you plan to leave your home for any extended period of time, shutting off your water main for you house will help keep pressure from building up in your pipes. Leaks tend to develop when pipes are obstructed and over time, a clogged drain or pipe can lead to extensive pressure causing damage to a section of your plumbing system that is weak. This can eliminate a lot of potential causes for a leak. Though this won’t fix any potential problems in your pipes and plumbing system, it will definitely help minimize any damage. Should a pipe burst while you’re away from home, it could potentially run for days. Once you’ve shut off your water main, it’s a good idea to run the faucets in your home to let any built-up water in the pipes drain This will relieve any pressure on the pipes. And if you happen to have a leaky faucet, removing water from the pipes will ensure any excess moisture doesn’t drop and cause any problems while you’re away. Keep in mind, mold can develop very quickly given the right environment from just a small amount of moisture. Shutting off your water heater while on vacation is a good idea, no matter if you have an electric or gas water heater. By doing so, you prevent the possibility (however unlikely) of your water heater malfunctioning. Although, with the proper maintenance, water heaters hardly every burst. Besides, shutting off the water heater while you’re gone will save energy. If you’re planning on being gone for an extensive amount of time, it’s a good idea to have a friend or family member check your home regularly. Even if you take all the necessary precautions, a storm can hit your area and something that is absolutely out of your control can cause extensive water damage. You’ll want to make sure you leave all the right contact information, including yours and your insurance company (and a water damage restoration service) should anything happen. 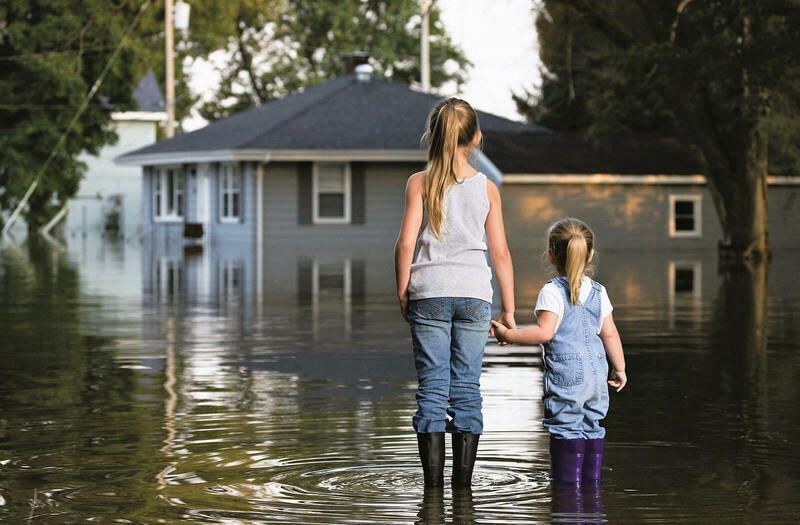 These are some basic actions you can take before leaving on vacation to keep your home safe from any water damage, or at least reduce the risk. A little preparation goes a long way and it’s always better safe than sorry. Plan on going on vacation this summer? Let us know in the comments. chris and his team of professionals handled my water damage from day one, sat down with me showed me what had happened and the extent of the damage which turned out to be substanical.they had to rebuild the entire back of my house including masterbath, master bedroom hallway and my entire great room, a lot of damage but just like he promised they handled all the insurance claim, all materials to bring my home back to better then new! start to finish-5 quick weeks and I am proud to show my home to all my friends! the dryout part when quickly and was done in a professional manner just like I was told , I had no idea my home was so badly damaged by a shower leake but the pipe burst inside the wall and thanks to chris and his guys its all good to go once again! would highly recommend ERS to anyone who needed top quality work and done quickly! thanks to chris and his crew of men!